Display a list of all stations with the number of bikes available and the number of empty slots. Swipe left and you will get a list of every station that you added in your favorites. Tap the Search option to search a station by name. Tap on the little map to go to the Map screen. 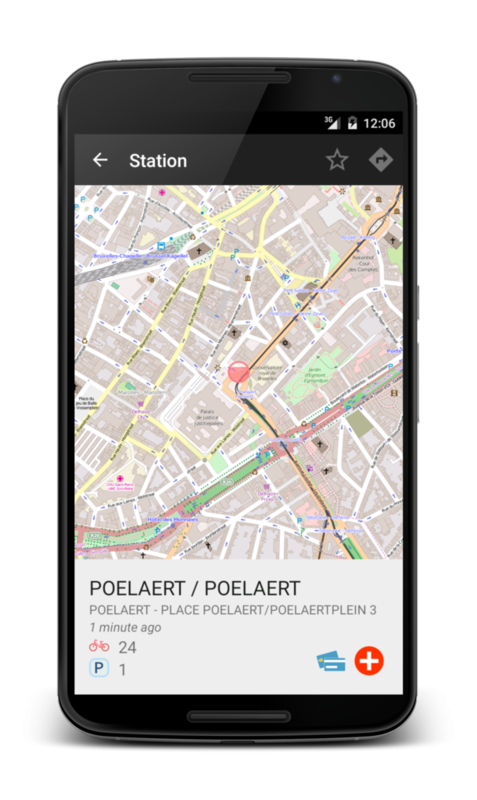 The Map screen will show you all the stations near you (do not forget to turn on the Geolocation option in your device's settings). Each station is represented by a red circle. The level shows the number of available bikes. Tapping a station in the list or on the map will take you on a dedicated screen where you will get more info, like if you can pay by card or if it is a bonus station (depends if your bike system supports it). Tap on the star to add this station to your favorites, or on the arrow to launch your navigation application with the station as destination. OpenBikeSharing is free software (as in freedom) and is distributed under the GPLv3 license. This means you are free to use, modify and share it. You are also encouraged to contribute any piece of code, report potential bugs or simply make any suggestions to improve it. Data are provided by the CityBikes API. 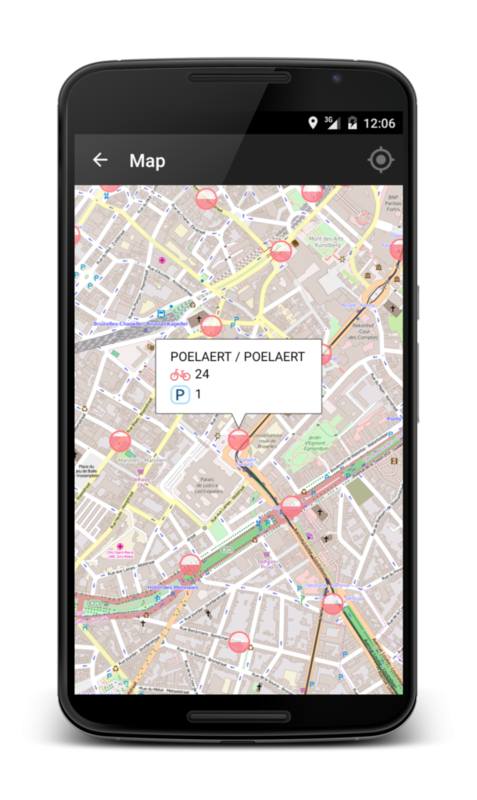 OpenBikeSharing uses software libraries like osmdroid and osmbonuspack.